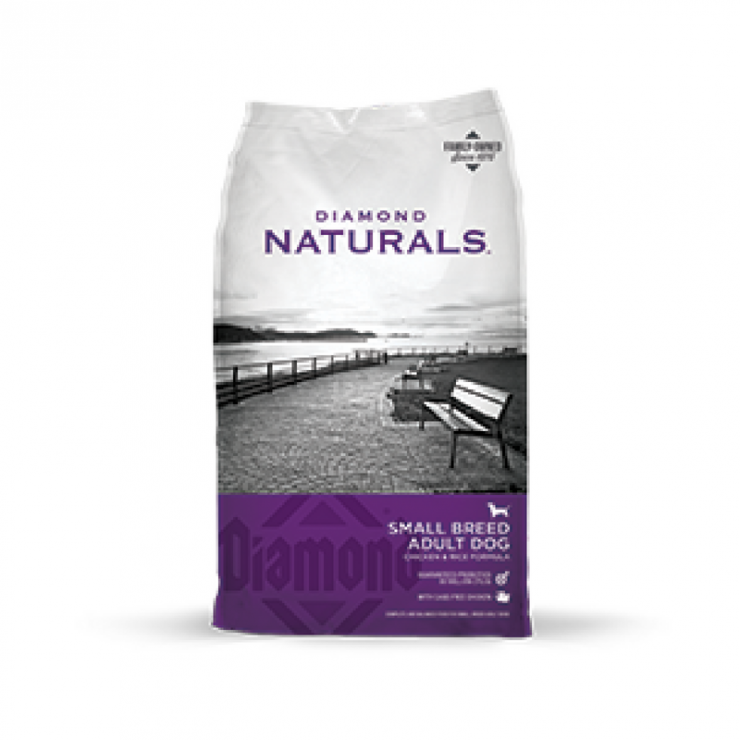 Diamond Small Breed Adult Dog – Chicken & Rice Formula is one of the many dog foods we have available at Cherokee Feed & Seed. Small kibble is easy for small mouths to chew, and also helps clean teeth and reduce plaque. 27% protein, 16% fat and added superfoods provide your small breed dog with the nutrients necessary for optimal health and an active lifestyle. If you have questions about Diamond Small Breed Adult Dog – Chicken & Rice Formula or any of our other products, give us a call or stop by one of our store locations. We are happy to help you keep your pet healthy!